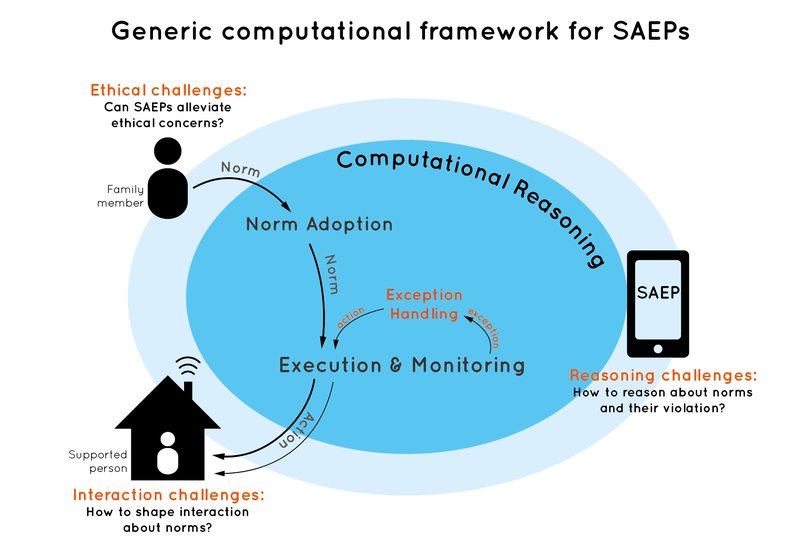 The aim of this project is to develop a new computational reasoning framework for Socially Adaptive Electronic Partners (SAEPs) that support people in their daily lives without people having to adapt their way of living to the software. This will require software that is flexible so that it can adapt to diverse and evolving rules of behavior (norms) of people in unforeseen circumstances. We use the term Socially Adaptive Computing to refer to software which not only understands human norms and values, but is also able to fine-tune its actions based on these concepts. Furthermore, since these electronic partners will be directly interacting with people, we will develop formal models and reasoning techniques to ensure reliability (guarantees on the behavior of the software) and resilience (flexibility in unforeseen circumstances).